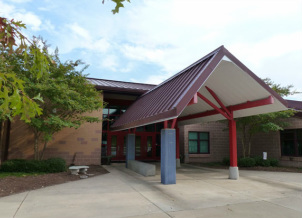 Olive Chapel Elementary School is located in Apex, North Carolina and is part of the Wake County Public School System. Our school serves children in grades K-5 and operates on a multi-track year round calendar. With highly effective teachers and classroom instruction, all children, regardless of socio-economic circumstances, can achieve and show significant growth. Students at all levels will achieve and show significant growth when data is used drive instruction and staff development. Highly effective principals, teachers and staff are the key to improving student growth and achievement. Olive Chapel Administration and Leadership promote continuous improvement, resulting in a high performing organization focused on student growth and achievement. Olive Chapel Elementary families and community partner with school staff to ensure a safe, caring and nurturing learning environment.